Last night, I ran my Therazane dailies in Deepholm, I decided to clear to two fairly easy achievements, Fungal Frenzy and My Very Own Broodmother. Fungal Frenzy is fairly straight forward. 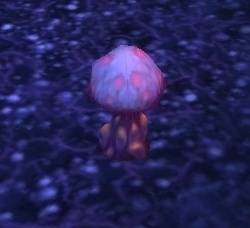 While destroying the mushroom babies for Fungal Fury, you get a buff for each type of mushroom you destroy. The trick is just finding each of the 4 and picking them quickly. Typical Blizzard fashion, you will never (very seldom) find all 4 next to each other. Don't get in water, the buffs wash off. Scope them out before hand. 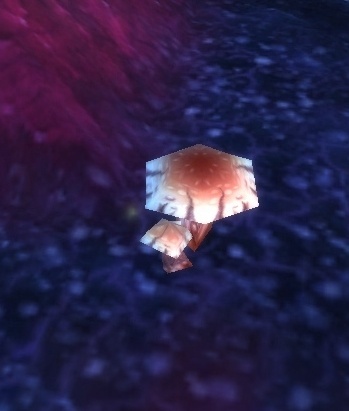 If you pick a shuffletruffle first, you get a nice run speed buff. I suggest mounting up between shrooms. 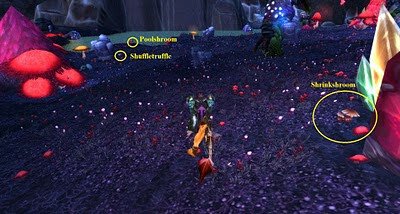 Shrinkshroom is the hardest to find. It is a white with brown stripe mushroom. They like to spawn next to the large pink pillars. I found a total of 2 during my looking. Shuffletruffle is very common. 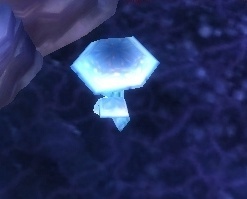 Light blue mushroom that spawns near the blue rock outcroppings. Speed buff. Poolshroom is a red mushroom, near pools. Damage buff. 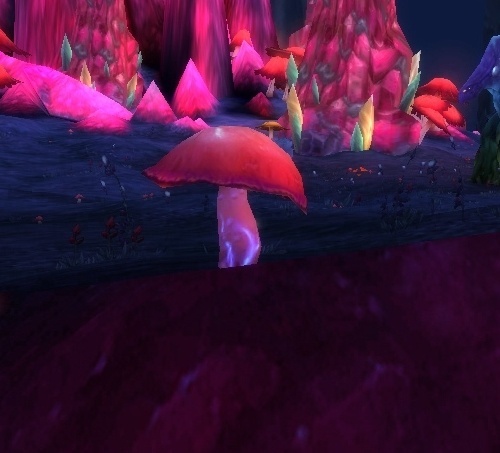 Trapcap is a purple mushroom (aka boomshroom) that sits on the mountain side. It explodes when picked, no buff. Stand by the summoning crystal and wait for someone else to start the fight. (yep you guessed it), let them call the npc to start the fight. Wait about 5 seconds. Gong the crystal, jump and start the fight. Once killed, drop down normally and you should have a few seconds to spare. Assuming you and the others kill her quickly. Turn in back at the NPC again. Do the quest and complete it and let the timer run out. Hit the rock again and turn in the quest. It gives you the achievement. hit the rock when you hop off before turning the quest in. 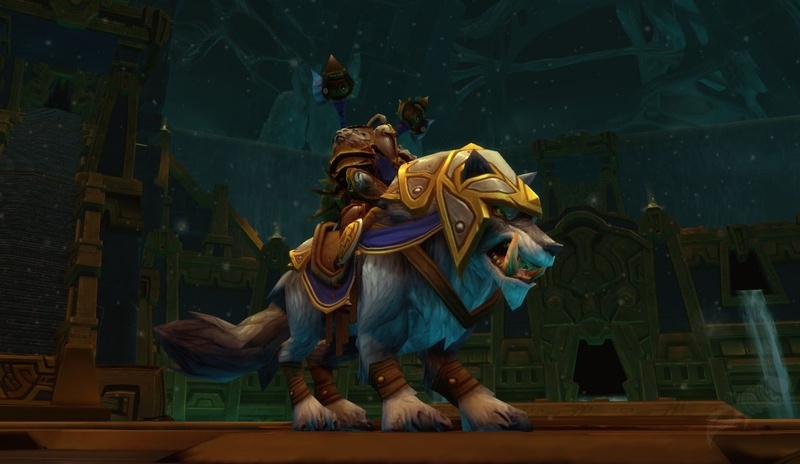 It currently causes the timer for the achievement to reset. These were both easy achievements, considering you don't need random numbers (repeat quest 10 times) to complete them. The longest time I spent was looking for the shrinkshroom.